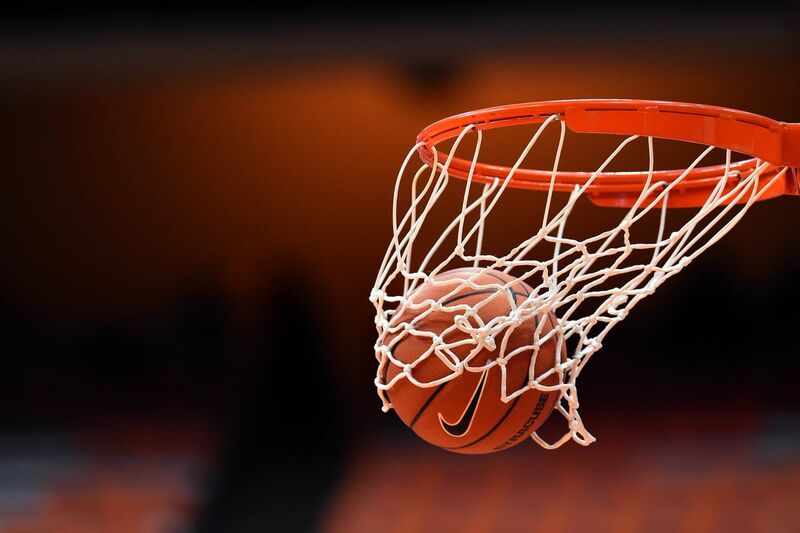 The boys basketball will be back in action at the Division III Boys Basketball Tournament at Vandalia Butler High School on Wednesday, February 27th at 6:00 p.m. They will be playing the winner of Miami East vs Troy Christian. Presale tickets on sale in the high school office for $6.00. 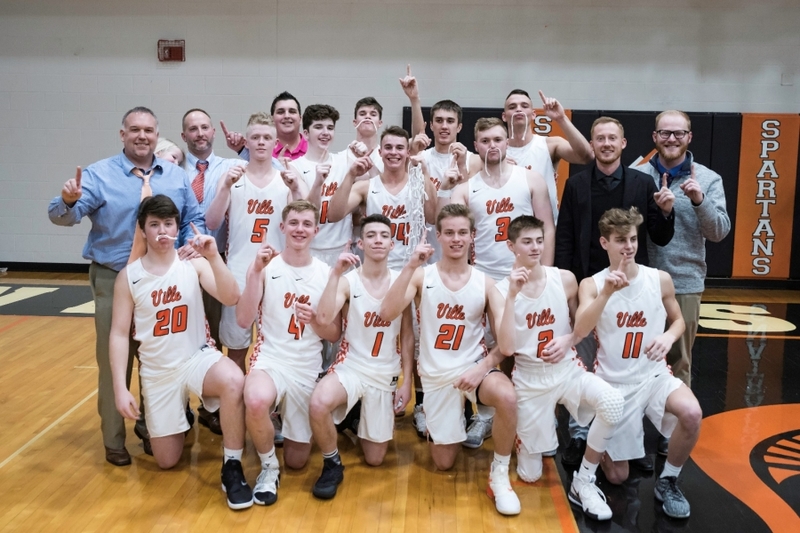 2018-19 SWBL Buckeye League Champs! The Spartans defeated Madison at home 59-39 to capture a share of the SWBL title with Madison. The Spartans ended the 1st QTR with a tip in at the buzzer by Bryce Nolbertowicz to take a 11-9 lead and never looked back. It was a GREAT TEAM EFFORT with all players making a significant impact on the outcome. We want to THANK our seven seniors, Grant Johnson, Luke Kindred, Ethan Speers, Anthony Carmichael, Drake Stiles, Johnny Cole and Alex Hurley for the hard work and leadership throughout the season. 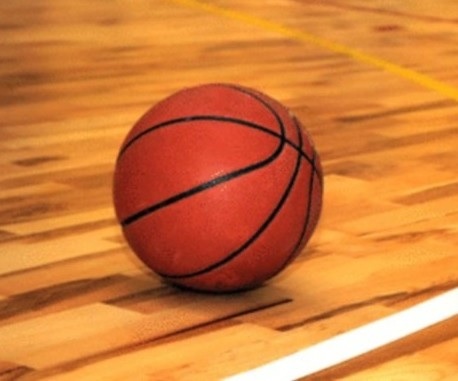 The boys will be back in action at the Division III Boys Basketball Tournament at Vandalia Butler High School on Wednesday, February 27th at 6:00 p.m. They will be playing the winner of Miami East vs Troy Christian. Presale tickets on sale in the high school office for $6.00. 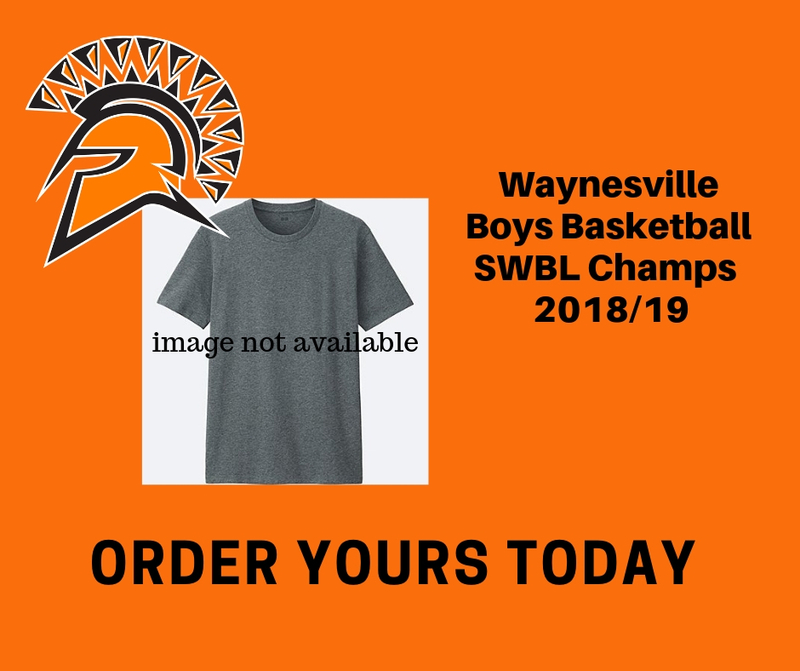 The Waynesville High School Boys Basketball Team won a share of the SWBL Championship and will have T-shirts and hoodies that can be purchased to help commemorate the accomplishment. Checks should be made payable to Waynesville Basketball. Completed orders can be turned into main office. Ordering Deadline is 2/21 at NOON. The Spartans beat Milton-Union 54-53 Friday to remain in 2nd place in the SWBL. The Spartans were led by Anthony Carmichael and Alex Hurley 12 points and Ryan Papanek 11 points. Saturday the Spartans lost a SWBL cross over game against Valley View 46-41. Anthony Carmichael led the way with 13 points, Alex Hurley chipped in 10 points. The Spartans face Madison tonight for a share of the SWBL League Championship. The seven Spartan Seniors will be recognized between the JV and Varsity. Tonight’s game is a WHITE OUT! The JV is looking to wrap up an undefeated SWBL Buckeye League Championship tonight against Madison. The 9th grade plays a non league game tonight against Bethel Bees. The Boys Varsity Basketball team will compete for a league championship this Friday night against Madison. All youth and junior high basketball players will receive free admission and SHIELD members will receive a free hot dog and bottle of water. The 9th grade game tips at 4:30, JV @ 6:00pm, and Varsity at 730pm. Come out and support your Spartans! The Boys Basketball team has drawn a bye in the opening round of the OHSAA District Tournament. against the winner of Troy Christian HS and Miami East HS.